Deliveries of GLC models built in Pune will arrive in the U.S. next month. Mercedes-Benz will begin importing its best-selling vehicle, the GLC compact crossover, into the U.S. from its plant in western India, Automotive News has learned. The German luxury automaker joins Ford Motor in tapping India as a source for U.S. vehicles, underscoring the subcontinent's rapid ascent as an auto export hub. Ford last year began importing its EcoSport subcompact crossover from Chennai. General Motors, meanwhile, thwarted in its efforts to develop an Indian sales base, has converted its Indian automaking capacity to an export base, but it has given no indication that it would export to the U.S. 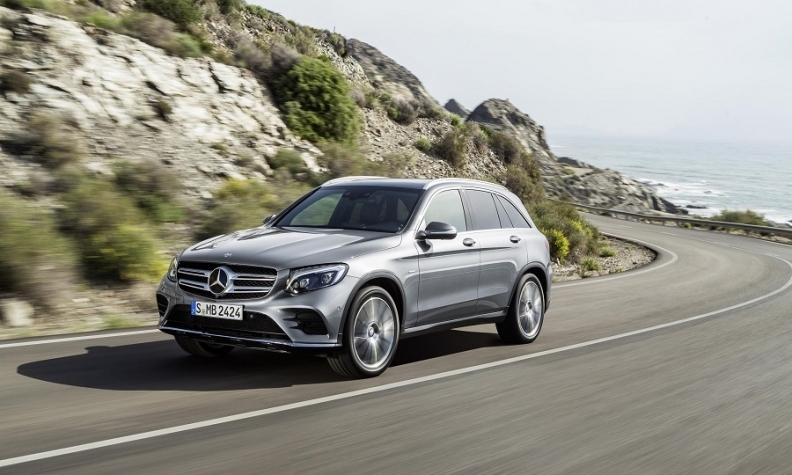 Deliveries of the Mercedes GLC, built at the automaker's plant in Pune, will arrive in the U.S. next month, Mercedes-Benz USA spokesman Rob Moran confirmed last week. "The SUV GLC is in great demand worldwide," Moran said. "Therefore, Mercedes-Benz uses the capacities of its global production network on four continents. This also includes the Mercedes-Benz plant in Pune." Mercedes has informed NHTSA of its import plans. The notion of importing vehicles from India arose a decade ago when Mahindra & Mahindra — at that time an Indian military vehicle builder — inked a deal to export a somewhat rough-hewn small diesel pickup to the U.S. through an independent distributor. Retailers asked for numerous quality improvements before they could sell the pickup, and the import deal collapsed before the vehicle was certified by U.S. regulators. The picture has changed significantly since then. The GLC is the highest-selling luxury compact crossover in the U.S. and the top-selling model across Mercedes' brand lineup. GLCs sold in the U.S. are currently built in Bremen, Germany. There are no plans to produce the crossover in the Mercedes factory in Vance, Alabama. Analysts believe India has a shot at playing a bigger role now. Mercedes' move could turn the spotlight onto its auto manufacturing potential, predicts Brian Johnson, managing director at Barclays Capital. "It will help establish supply chain and production infrastructure that can meet North American and European quality standards," he said. But importing vehicles from India to the U.S. remains an "experiment" more than a trend, Johnson said. "India has been seen by the global automakers as a difficult place to establish a quality supply chain," he said. "This could very well be an effort to learn about India as an export hub." Still, India's auto sector has significant growth opportunity as middle-class incomes rise and consumers gravitate from two-wheelers to cars and now crossovers. "It's very possible that there could be more capacity development for light vehicle in India," said Richard Hilgert, senior equity analyst for Morningstar. "With the increase in capacity, there could be opportunities for export." Exports could become a fundamental part of the equation for automakers with Indian plants. So far, some automakers are finding it challenging to support auto plants there with domestic sales only. If production capacity cannot be sustained with domestic demand, it makes sense to shift that capacity to exports, Johnson said. That is clear at Ford's Indian subsidiary, where exports, not domestic sales, are driving production volumes. "Export is one of the key pillars," Anurag Mehrotra, president and managing director at Ford India, told the Indian newspaper Business Standard. "It gives us economies of scale allowing us to bring more features at competitive costs for the Indian market." The situation is even clearer for India's luxury vehicle operations. Exporting several thousand GLCs will be helpful to the profitability of the Mercedes' Pune plant while meeting rising U.S. demand for the vehicle, said Sam Fiorani, vice president with AutoForecast Solutions. The cost of shipping GLCs to the U.S. from Pune is higher than from Bremen, but the overall economics are tempered by other costs, including lower labor rates in India. The move could also help automakers hedge against trade troubles around the world. The industry is witnessing rising uncertainty around the potential of U.S.-imposed import tariffs. The Trump administration has threatened a 25 percent tax on cars that come into the U.S. from the European Union. And the road to China, a major global auto manufacturing center now, is already getting bumpier thanks to trade war tensions with the U.S.
Tariffs can determine where companies source products, Hilgert said.